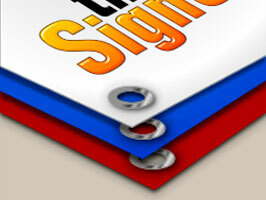 How to Choose the Best Sign Materials. Welcome to the Product Selection Wizard - our newest, online self-help guide. This interactive guide will ask you a few short, non-personal questions. These are the identical questions we ask clients during a one-on-one consultation. Once we know a client's situation, we can provide specific recommendations. And within seconds, the wizard will automatically show you our top recommendations! When nothing but the best will do, you'll see our "Top Recommendation". Plus you'll also see what your next best options are. 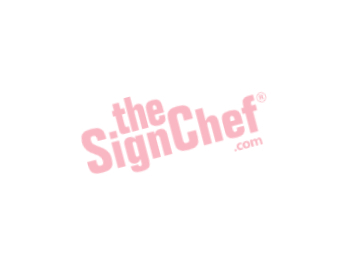 You'll get all the facts you need to pick the sign material that is just right for you! Which Sign Material Is Just Right For You? To start the wizard, just click on the answer to the first question. Where is the sign going? Where will your new signage be displayed? What is the primary purpose of your sign? 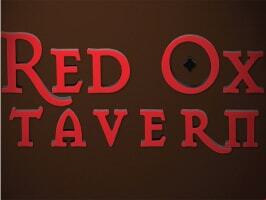 Acrylic is a UV stable, highly durable, outdoor plastic sign material. The material is completely waterproof. It is ideal for lighted sign displays. Acrylic has a high tolerance for cold and hot weather temperature extremes. Plastic signs will last indefinitely indoors. 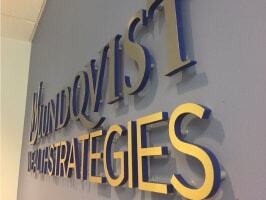 The Acrylic sign surface has a rich, high gloss appearance. Acrylic wall signs also come in matte finishes. 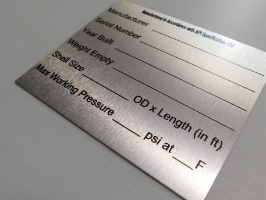 Small Acrylic walls signs come standard in 1/8" thickness. Medium size Acrylic plastic signs are usually 3/16" thick. 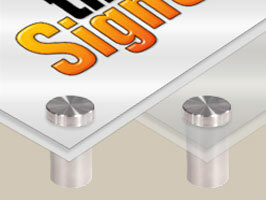 The clear Acrylic sign material is available up to 1" thick. Acrylic Signs are easy to display and mount. 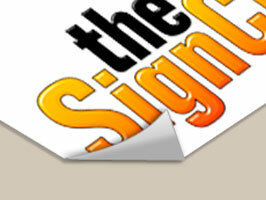 Acrylic is a popular alternative to PVC Plastic Signs. You can get any size you want. Acrylic custom signs can be cut into virtually any shape. Any design, artwork, photo or logo can be used. And Acrylic comes in virtually any color you want. (Including clear!). Easy to care for, as it is completely waterproof. The most durable of indoor sign materials. Has a smooth satin finish without the glare or reflection. PVC lasts for decades indoors. Easy to mount (Mounting kits available). 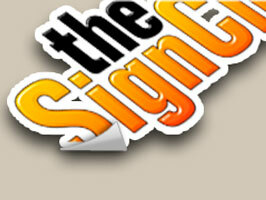 Any design, artwork, photo or logo can be used for custom PVC signs. They have a slightly ribbed surface that looks like "plastic cardboard". 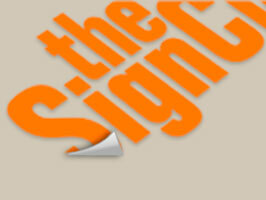 They're ideal for short term outdoor use (Good for 1-day event signs and last up to 2 years). They'll last for decades indoors. The standard 3/16" thickness (4mm) feels similar to stiff cardboard. Coroplast is readily available in a highly rigid, 1/2" thickness. They have have tolerance for cold and hot weather temperature extremes. Signs can be one-sided or two-sided. East to install and mount. 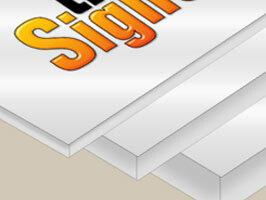 Coroplast serves as a popular alternative to foam core mounting options. Any size and virtually any color you want. Note: Coroplast sizes can vary + or - a 1/4". Note: Large quantity jobs are flat bed printed, so text and graphics on smaller sizes maybe slightly blurry. Contact us at anytime with questions or concerns. Available in glossy photo paper, matte finished paper or waterproof vinyl. Colors appear most vibrant on glossy photo paper. All three materials are very flexible making them easy to mount, remove and roll up for storage. Ink is eco-friendly, fade resistant and permanent. Ink stays vibrant for ten years indoors or five years when displayed in a window. Posters are recommended for indoor use only. You can get any size and color you want. Available in vibrant, high gloss finsh. Available in more conservative, super smooth, matte finish. Vinyl Banners are completely waterproof. They have a high tolerance to wind, cold and hot weather extremes. Banners can be one-sided or two-sided. Easy to hang and display. 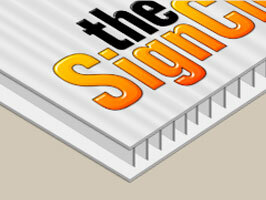 Ideal for temporary outdoor signage, lasting up to 5 years outdoors. You can get any size and virtually any shape and color you want. Any design, artwork, photo or logo can be used in the banner design. Dimensional Letters or a Flat Sign? Recommended for indoor and temporary outdoor use. Ideal for use in presentations. You can get any size, color, and some custom shapes. Any design, artwork, photo or logo can used. Engraved Signs available in wood, plastic, metal and more. Available in variety of thicknesses. 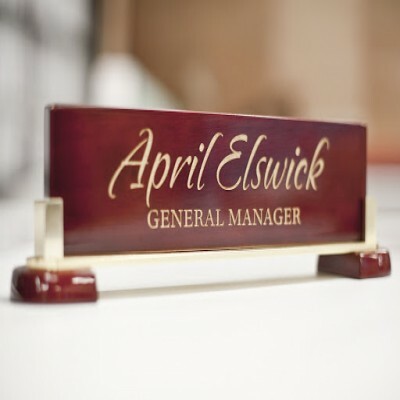 Great for name plates, name badges, corporate signage. Custom engraved pen sets, wall plaques, awards and coporate signage are perfect for all types of companies. Engraved frames, desk sets, and ornaments make great gifts. 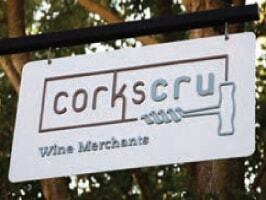 An aluminum sign panel that has a SOLID plastic core. This SOLID plastic core provides additional panel strength. Has the broadest range of finishes available (including brushed gold and brushed silver corporate finishes). Completely rustproof, waterproof, rot-proof and is chemically resistant. Can be one-sided or two-sided. Easy to mount (Mounting kits are available). 1/8" thick panels are strong yet lightweight with minimal flexibility. 1/4" thick panels are highly rigid and sturdy. Any shape, any size and virtually any color you want. Any design, artwork, photo or logo can be used for your custom Dibond Sign. High tolerance for cold and hot weather temperature extremes and heavy percipitation. Rustproof, waterproof and chemically resistant. Has a smooth professional finish. 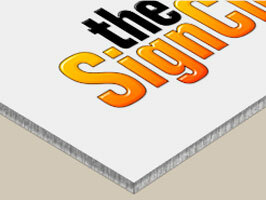 Aluminum Signs can last for decades indoors and outdoors. Aluminum Signs can be one-sided or two-sided. Any size, thickness or shape you want. 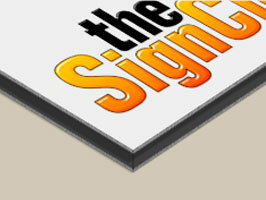 Any design, artwork, photo or logo can be used for Aluminum Signs. Vinyl comes pre-spaced and ready to apply. You can save about 70% by easily applying vinyl letters and graphics yourself. 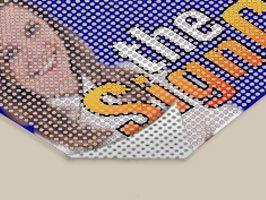 Available in vinyl and perforated window vinyl (Perf). Creates a window wide view of vibrant, colorful, eye-catching graphics. Allows a clear view of outside from inside. 50% vinyl film and 50% perforated holes. Comes with a premium laminate for extended life. Great for window graphics, trade show displays, corporate identity and hundreds of retail applications. Can be made with colored backgrounds.